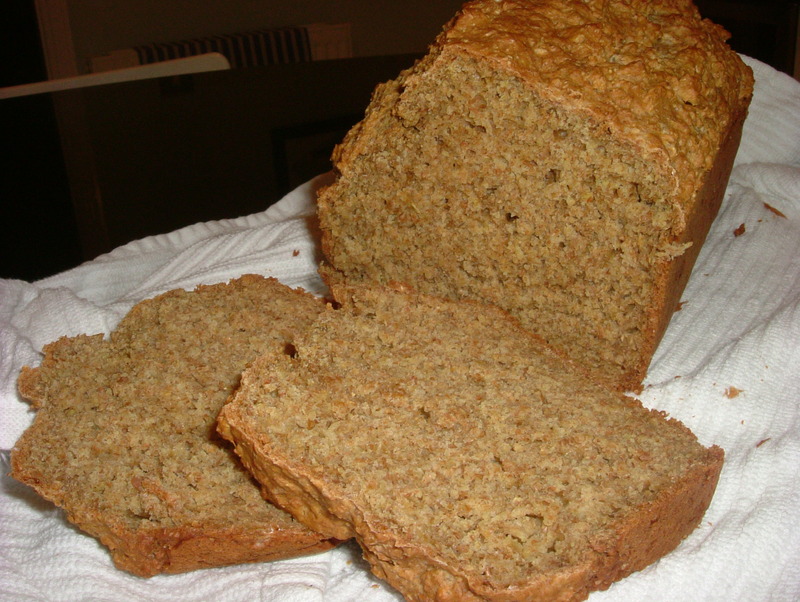 Brown soda is probably my favorite bread – it is so rustic and simple. There is no kneading or proving so you can get a loaf ready for the oven in just a few minutes. I love to eat soda bread with a hot bowl of soup or topped with a slice of crumbly vintage cheddar. This recipe is based on one I found in Tamasin Day Lewis’ beautiful book West of Ireland Summers, which was sadly out of print the last time I checked. Preheat oven to 230ºC/Gas Mark 8. Grease a 1lb loaf tin with a little butter. Mix all of the dry ingredients together in a large bowl then lightly rub in the butter. Make a well in the centre of the mix and pour in the buttermilk, then gather the mix together with a large metal spoon to make a soft dough. The mixture should be quite sticky. Spoon the mixture into the loaf tin and place in the oven. After 30 minutes remove and cover the top of the loaf with a piece of greaseproof paper, then bake for a further 15 minutes. Turn the loaf out on to a wire rack and wrap in a clean tea towel and allow to cool before slicing. Ginger SnapsIn "Cakes and Baking"
Buttermilk SconesIn "Cakes and Baking"